Alélor is located in the village of Mietesheim in Alsace, in eastern France. It is the last mustard producer in the region and the only French company still making horseradish. 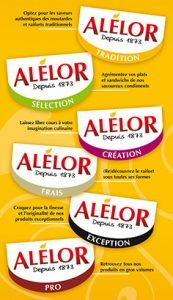 Creator and producer of condiments: Alélor continues to refresh the tastebuds with 6 colourful, taste-packed ranges, including tinned and savoury products. Alélor has two brands — Alélor, for supermarkets, non-domestic catering and exports, and Domaine des Terres Rouges, to be found in delicatessens and other specialist retailers. Domaine des Terres Rouges specialises in artisanal mustards, oils and vinegars and joined the group in 2015. In 2016, the Raifalsa brand was brought into the Alélor Frais range, and the unique, traditional taste of Raifalsa horseradish lives on under the Alélor brand. Alélor has been run by the Trautmann family since 1997, with the primary objective of maintaining and extending the generations-old knowledge of making mustard, horseradish and condiments. Today, a workforce of 15 highly-skilled and dedicated employees is the driving force behind Alélor at its plant in Mietesheim, a few kilometres away from the town of Haguenau in northern Alsace. quality: careful selection of raw materials, with a robust set of standards adhered to by local farmers, quality control at each stage of production and the strict use of the traditional recipe. social: driving rural employment and supporting local agriculture: exclusive use of Alsace horseradish and a partnership with the chamber of agriculture to reintroduce the cultivation of mustard grains in Alsace. environment: horseradish sourced within a 35-km radius, reintroduction of mustard grains in Alsace, water treatment, waste sorting, installation of solar panels, employees resident in and around Mietesheim. Alélor Pro: condiments for use by professionals, available in bulk volumes and tailored to their needs. 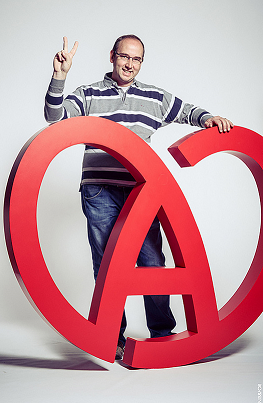 Well-established in Alsace, Alélor is also stocked all over France, mainly in supermarkets. The company is widely represented in delicatessens and other specialist stores through its Domaine des Terres Rouges brand. Export markets include Germany, Switzerland, the USA, Japan and Sweden.